For those that thought the Fast & Furious franchise just might run on forever, Vin Diesel has revealed that there is a plan to bring the popular series to a conclusion. Earlier this week, The Hollywood Reporter suggested that Universal Studios was struggling to find a director for Fast & Furious 8. On Friday, Fast & Furious star Vin Diesel took to Facebook to personally address the reports of Fast & Furious 8 not having a director. In his post to fans, Diesel confirmed several major things about the franchise, which seem to have gone unnoticed by the press. First of all, Diesel once again referred to the next installment of the franchise as Fast 8. 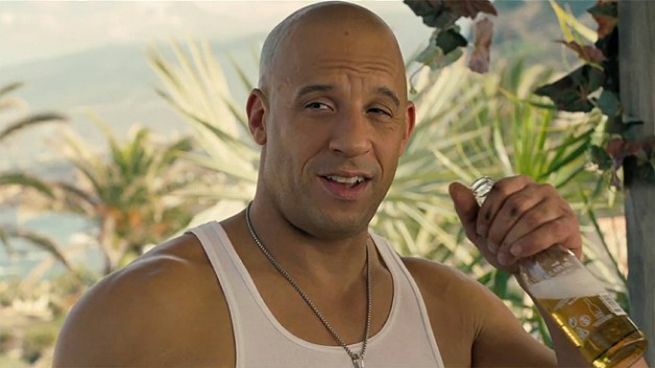 Diesel previously referred to Fast & Furious 8 as Fast 8 during the Teen Choice Awards, as first reported here on Comicbook.com. This is now the second time Diesel has called the franchise Fast 8, which further suggests that will be the official name. So Fast 8 will be the beginning of a trilogy that will conclude the franchise. There will be a Fast & Furious 9 & 10 with the tenth installment apparently being the final Fast & Furious movie ever. Back in 2014, Universal Pictures chairman Donna Langley had stated that the studio thought there could be at least three more films after Furious 7. However, Diesel’s statement is the first confirmation that there is a plan to launch a trilogy that will wrap up the series with Fast & Furious 10. Here’s Vin Diesel’s Facebook post in its entirety, where he also reveals that he will announce the director(s) for Fast 8 on his next post. The fans of the Fast & Furious SAGA are the best fans in the world... Since I became the Producer in 2008, you have been with me every step of the way... literally giving me feedback that proved invaluable. Thank you. My producing partner Neal would love for me to just sign off on a director, but this is too special a franchise, so these matters have to be very carefully handled. To be clear, NO ONE has been offered to helm Fast 8 yet... let alone seen a script. Fast 8 is scheduled to be released in movie theaters on April 14, 2017.